Pearl Street Mall is one of the nation's most successful outdoor malls and one of Boulder’s most notable landmarks and attractions. 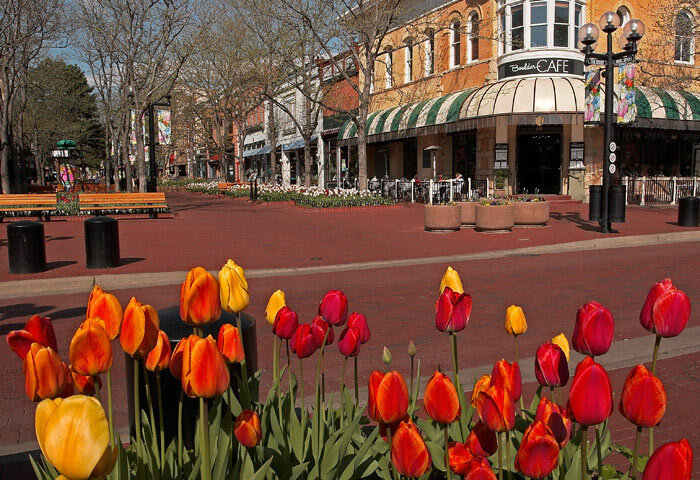 Stroll down the tree lined, brick walkway, filled with an array of shops, boutiques, galleries, patio cafes and restaurants. Street musicians and jugglers often perform during the day and at night. Photo © copyright by Mike Barton.